Soft and smooth polyester/spandex fabric. 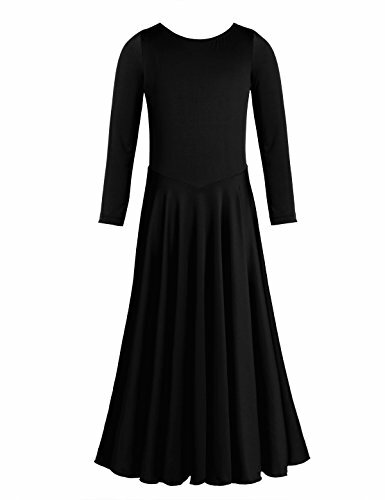 Long sleeves, modest round neckline, pull on closure ,easy dressing. Fitted in torso, loose in skirt, maxi long ,simple classic look. Soft and smooth feeling, the bodice of this dress is slightly fitted to show the grace and beauty of movement.